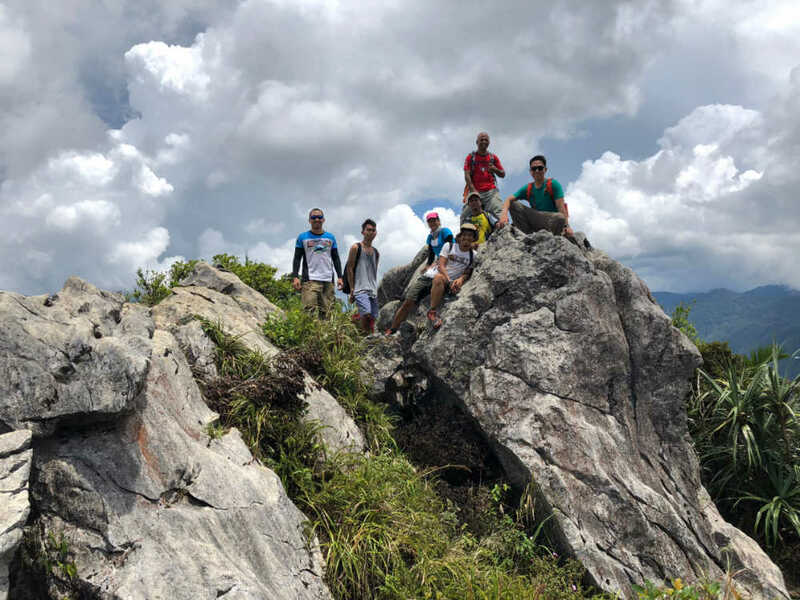 ILOILO CITY – if a perfect dayhike means a very nice trail and a scenic peak, comfortable to do within a day, but hard enough to provide a worthwhile challenge, then a great candidate is Mt. Agua Colonia in Alimodian, Iloilo. 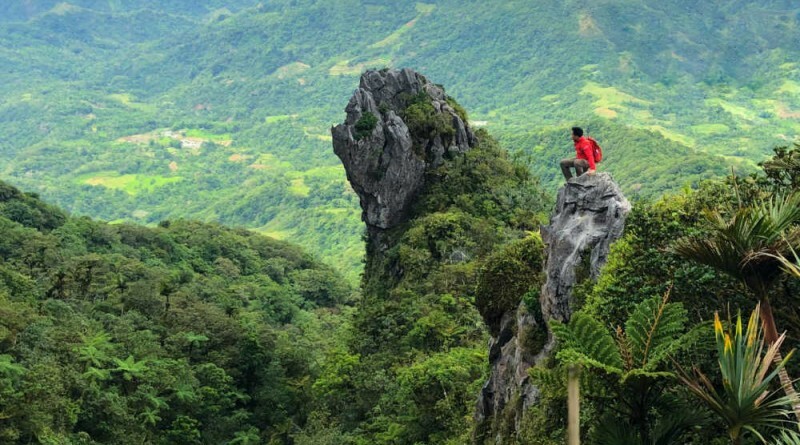 Rising to a respectable elevation of over 1300 MASL east of the same mountain range in Central Panay that features the great mountains of Antique, Agua Colonia boasts of a pinnacle rock that rivals the scenic beauty of Pico de Loro’s Monolith, while its trails are unsurprisingly reminiscent of Madjaas and Nangtud. Yesterday (May 19, 2018) I had the chance to climb this mountain together with my Baloy Dako companions Limuel Lajo, Jonathan Sulit, Kevin Jaoud; Vincent Tambanillo of Talahib ECO Trekkers, and some Alimodidn-based hikers led by Rey Angcahas, who served as our guide. To get to Mt. Agua Colonia one takes a jeepney from Iloilo to Alimodian (P30), then a habal-habal from Alimodian to Brgy. Lico (P300 roundtrip/person at 2 passengers/habal). 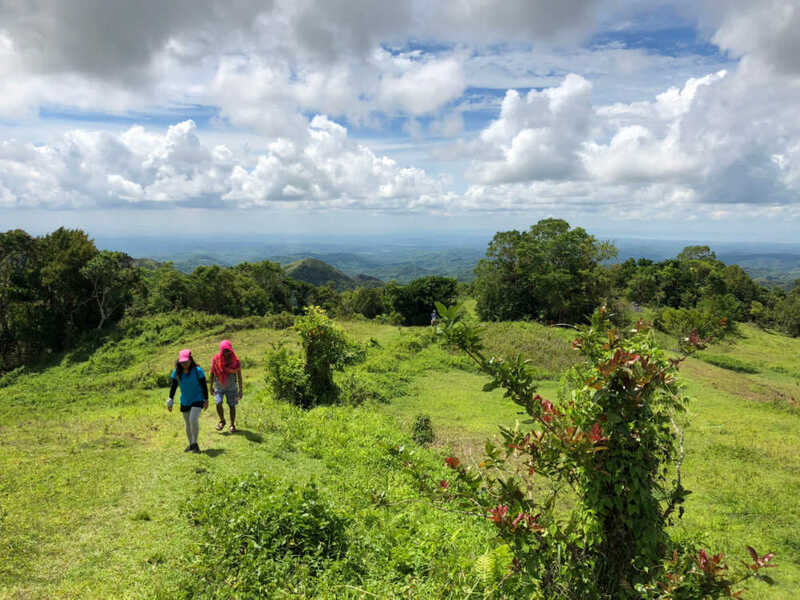 From the trailhead, the hike involves entering some woodlands, a very large, sloping campsite with a view of Guimaras, and then a dense jungle that, delightfully, is still teeming with wildlife – cacophony and all! My companions, all of whom have hiked the mountain before, say that hornbills and monkeys have been spotted in the mountain. After over two hours of hiking – the last kilometre of which involved rock scrambling – we reached Mt. 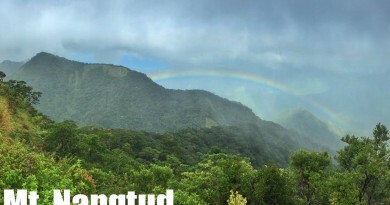 Agua Colonia, the official ‘summit’ of the hiking destination (although technically speaking it’s hard to tell which si the real highest point since it’s part of a range). According to local lore, the flowers atop this mountain once gave off a scent so sweet that it actually reached the surrounding communities. 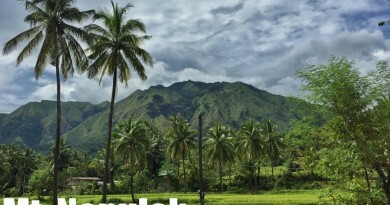 From Agua Colonia, the other mountains in Iloilo could be seen, including Mt. Napulak. 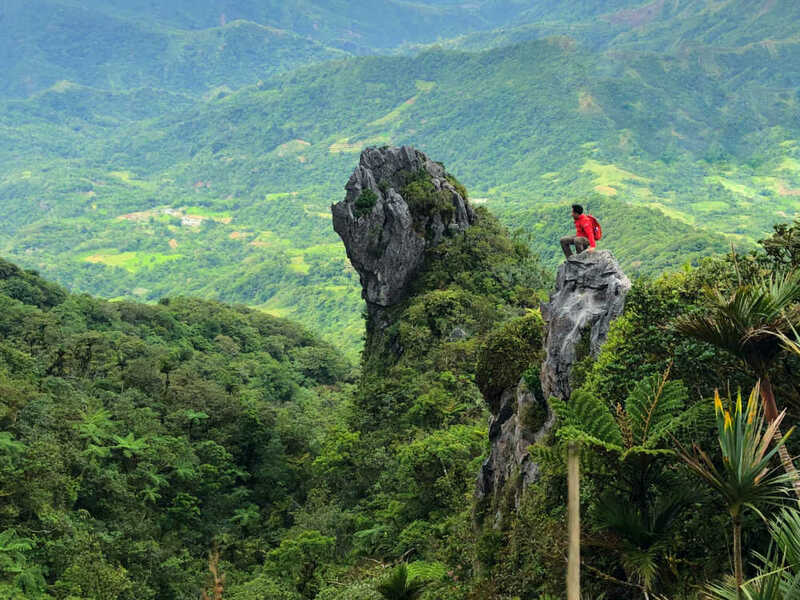 It takes just 10 minutes, in Maktrav-like riding fashion, to reach the ‘Puting Bato’ or the viewpoint overlooking Bato Dungok (slouched rock), the visual highlight of the hike. 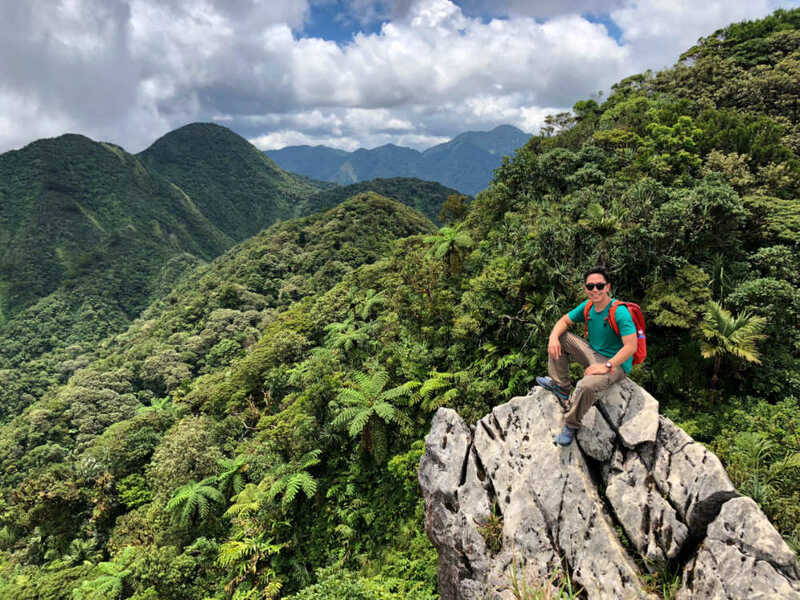 The hikers say seeing it without fog and clouds is a rarity, but fortune was on our side and we were given a window of opportunity to enjoy the scenery. We also enjoyed the sweet spring water of Agua Colonia from a nearby water source: it is must-try for those hiking up the mountain! 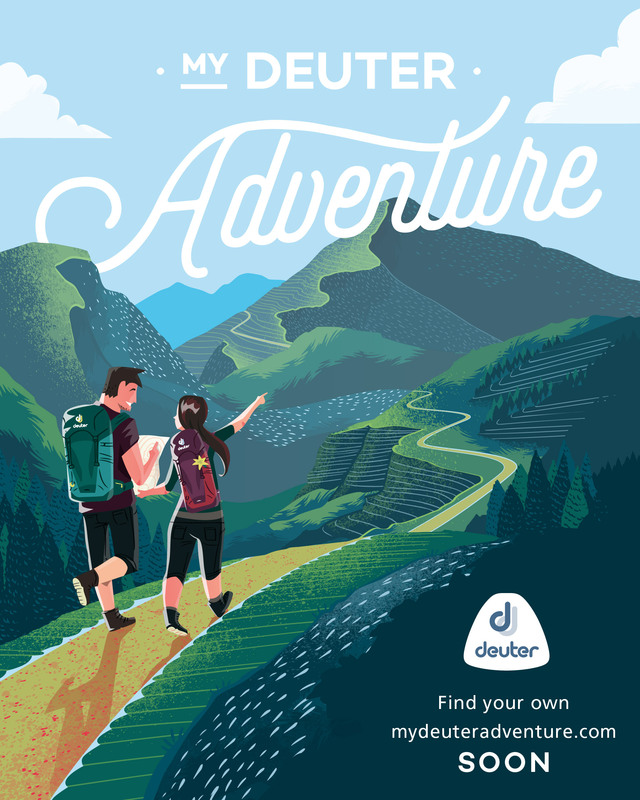 From Bato Dungok, a separate, gentler trail loops back to the original one, and the descent took us just two hours – including a picnic-esque stop at the large campsite. 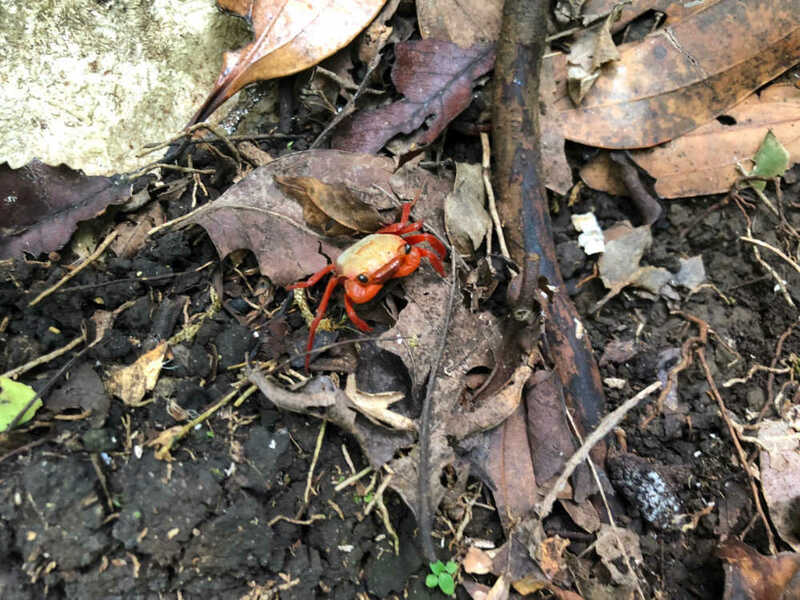 There were numerous small crabs along the trail – another proof of the mountain’s ecological richness. Late lunch of nilagpang na manok greeted us on the trailhead, capping off a wonder day of hiking. Thank you to everyone who joined the hike, and friendly locals at Brgy. Lico! 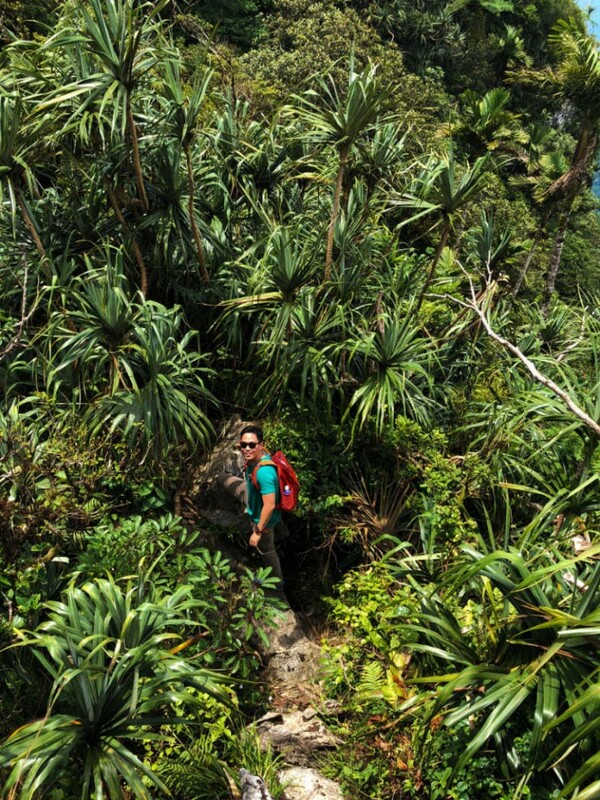 With numerous mountains in Panay, I am already looking forward to the next hike here.